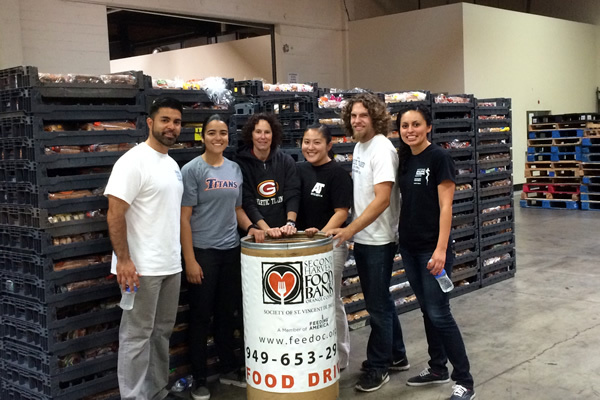 Saturday March 29, 2014, 4 athletic trainers and an athletic training student volunteered at a local food bank in South Orange County, Second Harvest Food Bank. We spent 4 hours sorting food and packaging food to be sent to those in need. Many of the food items were donated by organization and local companies and grocery stores. It was a great experience working and continuing our service off the field. It was not only a way for us to give back but a great way for us to get to know each other a little better, share some jokes and talk about was to continue to give back on and off the field.